What is Affilorama? 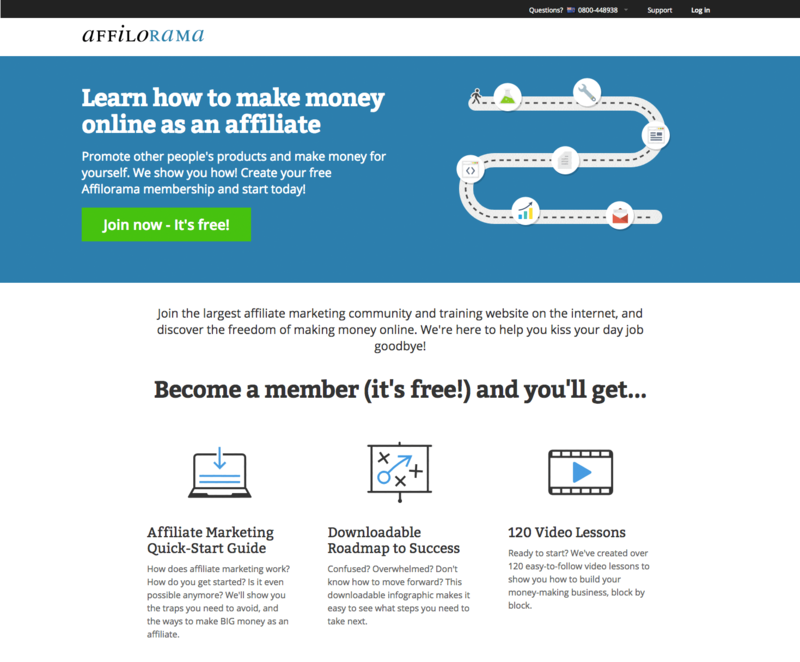 Is it really a free membership site for affiliate marketers? Or is this a scam? Read more here to receive the answer. Affilorama is a free membership site where you gain access to their big archive of training and forum. Their training covers most of the aspects of affiliate marketing. If you have more questions about affiliate marketing, you can ask or find answers on their forum. Maybe your questions have been covered by others? If not you can ask and you will receive responses from experienced marketers and teachers. Good structure and clear instructions, so it's easy for you to take action and know what to do. Over 100 free lessons where you learn about a wide range of topics including affiliate marketing, email marketing, SEO and PPC. Made by professionals where the primary teacher is Mark Ling. You will also receive videos and interviews by other professional marketers. Very beginner friendly. You find everything you need at Affilorama to begin your journey, but this is also good for intermediate marketers. Its FREE, no hidden cost. You will receive upsells. They have some tools and more advanced courses that cost. I guess they also need to earn some money. Some of the free content is not up to date. You will receive over 100 vel structured lessons for beginners and intermediate marketers. You keep track of what you have covered with a "virtual lesson" book. You have access to the Affilorama's forum where you can interact with other marketers and teachers. Access to videos and webinars where they speak to other well knows professional marketers. A free "Quick Start Guide to Affiliate Marketing Report." AffiloTools: a Free membership that includes limited keywords ranking, SEO and traffic reports for one website. 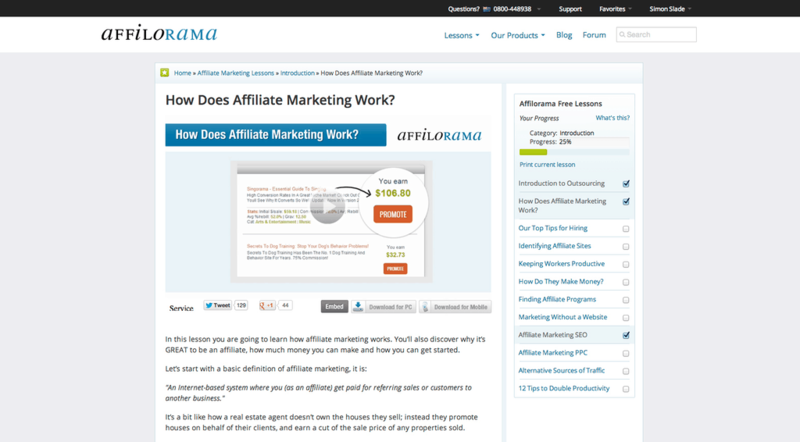 Affilorama is a membership site where you have access to training, webinars and almost all the tools you need to help you to start or improve your affiliate marketing. Some Affilorama complaints are that not all the training is up to date. Since this training is free, you still receive a lot of value. You can decide later if you want to receive more advanced training. If you want access to more advanced features or add more affiliate websites, you can purchase access to this later. The path to Passive: A strategy for affiliate sites that boosts traffic, increases sales, and leads to a fantastic passive income. AffiloBlueprint: A proven blueprint to build a profitable affiliate site. More advanced course then the free one. AffiloJetpack: A done for you system with pre-made quality content. You will also receive AffiloBlueprint and some additional training for using the AffiloJetpack. Affilorama is not a scam and a very legit membership site. There is no hard push for the paid content, but you will of course receive some pitch for their paid offers. They need to make some money for the value they give to their members. Since this is free, you can yourself decide if they give you value that is worth to pay for. Affilorama is a free membership site where you gain access to very beginner friendly courses. Also, they have a forum and tools that will help you start your path to affiliate marketing. If you are an intermediate or advanced marketer, they have something for you too. They have a more advanced course and improved access to their tools. The best thing is that this is free and you can yourself validate if this is something you want to pay for at a later stage.